Crazy for Clamshells template and instructions. 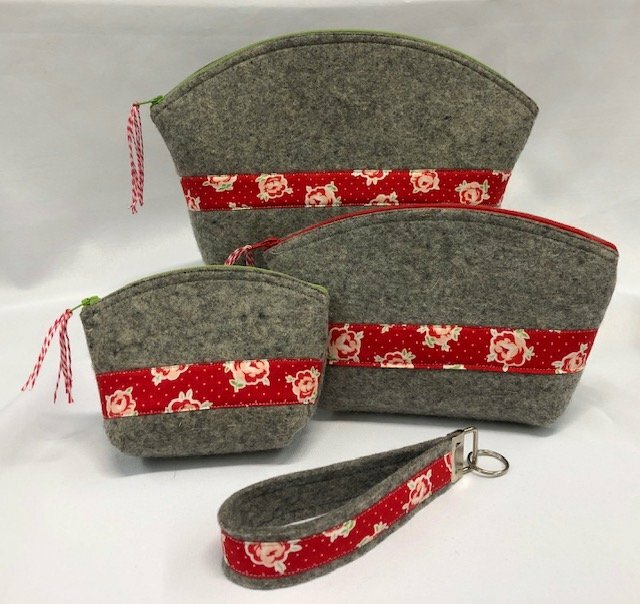 If you're interested in making many more of the Crazy for Clamshells using this template and instruction package, you will be able to make all three sizes if you purchase at least a half square yard of felted wool yardage (18" x 36"). If you would like to make multiples of one of the sizes, please contact us for the yardage you will need based on the small, medium, or large clamshell.